Artist Pietro Adamo (Born in 1955) was born in Toronto, Canada. After graduation from Art History and the Fine Art programs at Sheridan College in Oakville, Ontario, and at the University of Toronto, he went on to Chaminade College School in Toronto where he became an art professor. There he established a strong Visual Arts department, and some of his students later became prominent illustrators, designers, architects, and fine artists. Within just 20 year, Adamo gained a reputation as an effectual teacher; he also executed several public and private commissions of his work. His work commanded his full time dedication by 1997. 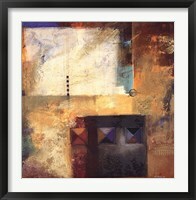 Adamo’s paintings are abstract celebrations of his admiration for the “inexhaustible and unpredictable record of life". Through his textured surfaces and rough contours, Adamo abandons the monotony of conventional rendering of geometric forms. He strives to convey emotion by intimately working his canvases both removing and applying pigments to create a tactile quality. Layers of vibrant colors dynamically recede and emerge within the canvas. This is what gives his work its sensational quality and mood. Adamo clearly delights in the intuitive, unbridled nature of his forms enabling him to evoke emotions and sensations. He emphasizes the liberating quality of his art. He says that he has to paint.... to express himself without restrictions, to speak without words, never relenting. Viewers can find strength and optimism in his work as he combines raw, emotional use of color with sophisticated geometric spatial relationships. 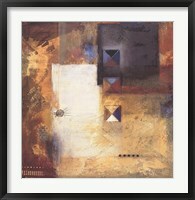 Today, framed Pietro Adamo art are causing a lot of excitement in the arts world. He continues to create original works from his home studio, and his work can be found in public and private collections throughout Europe, North America, and Asia.